A ministerial committee in Israel’s parliament voted on Sunday to advance a bill that would cut subsidies to cultural organisations accused of not showing “loyalty” to the state, the culture minister said. 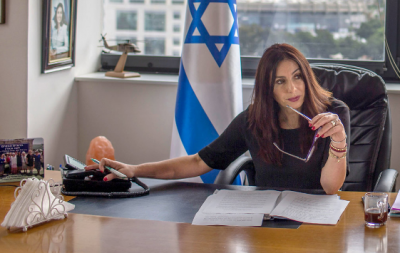 The proposed legislation, denounced by artists and freedom of speech activists, was proposed by Culture Minister Miri Regev and supported by Finance Minister Moshe Kahlon. The decision by the Ministerial Committee for Legislation means that the bill will be fast-tracked to a full cabinet vote before being introduced in the Knesset as a government bill, the Times of Israel said. It would give the finance and culture ministries the power to slash subsidies to any institution presenting work that denies Israel’s existence as a democratic and Jewish state or that marks the state’s independence day as a national day of mourning, AFP reported. For Palestinians, the anniversary marks the Nakba or “catastrophe” in Arabic – when more than 700,000 Palestinians fled or were forcefully expelled during the establishment of Israel in 1948. The draft law would also see funding cut over work that attacks the state flag, or incites racism or terrorism. Still, left-wing politicians criticised the bill. “demand for loyalty in art is another step in silencing expression and forcing culture to be a mouthpiece for the government,” the Times of Israel reported. Last year she slammed the Israeli drama Foxtrot, which won the Venice Film Festival’s second-highest prize, for spreading untruths about the Israeli army. She was not invited to September’s Ophir Awards – Israel’s version of the Oscars – where Foxtrot won the best picture prize.